"Look how rough and dry your lips are; and you’re going out like that” were the kind words of my mother about 3 months ago…….this was despite me using Carmex on a regular basis. 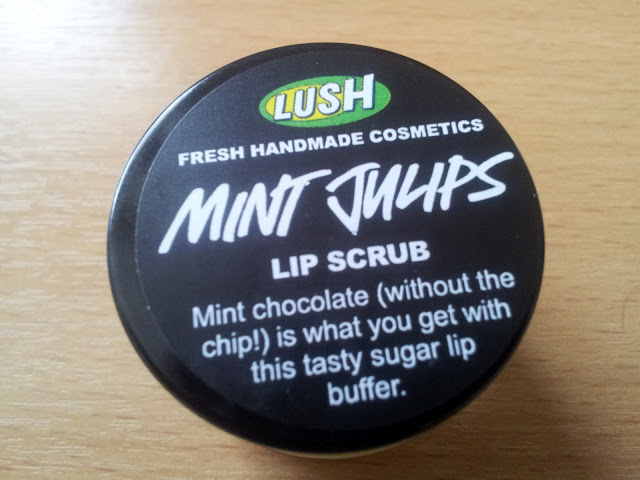 Just as well I was going to Lush Cosmetics to pick up a present for a friend, because I also purchased Lush’s Lip Scrub in Mint Julips (mint chocolate). Lush Cosmetics specialise in making fresh, handmade beauty products. 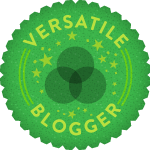 With the exception of their liquid products, all cosmetics are preservative free. The Lip Scrub has been very beneficial; I only need a small amount of the scrub to get rid of the roughness on my lips. After use my lips feel smooth and soft; I feel that my lip balm is a lot more effective after using the scrub. 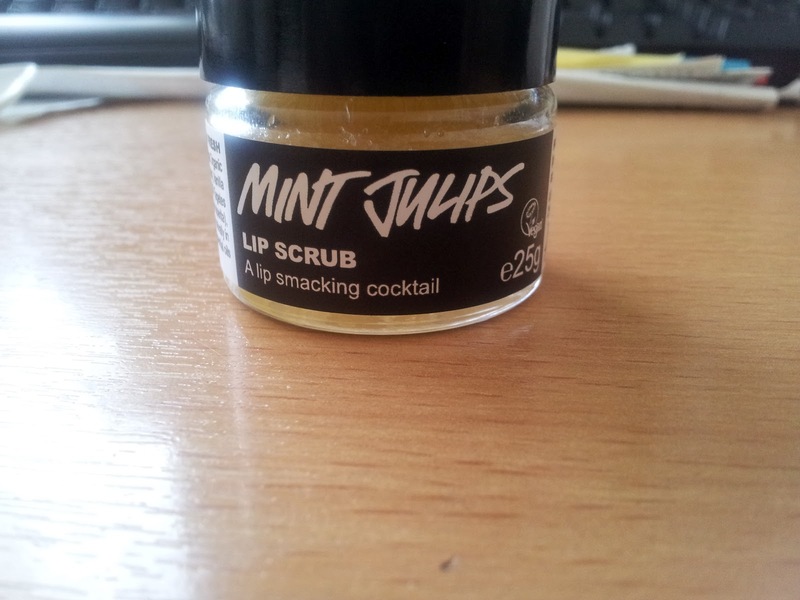 The Lip Scrub smells so nice; the mixture of the vanilla and peppermint is a delightful smell. It also tastes nice as well! As it is made of caster sugar, after I have finished buffing my lips, I can simply lick it off! However I recommend applying the sugar scrub with a mirror because you may not be able to lick all of the sugar and could end up looking like you got into a war with a sugar doughnut……. The Lush Lip Scrub costs about £4 - £5, which is not too bad considering it is handmade and I haven’t needed to use it every day. In fact I am still using the same scrub I bought 3 months ago and it is not even half way. However, the ingredients are simple to purchase and you can even make your own scrub. In fact Yolandaas, of Pink and Leopard Prints has done a post on making your own scrub. You can check it out here. 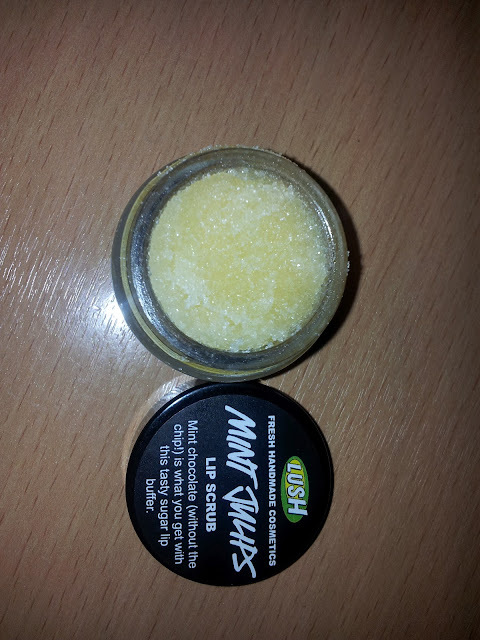 Have you used Lush Cosmetics’ Lip Scrub before? Do you DIY? I definitely have to try this lip scrub; everyone's talking about it. i've also heard a lot of good things about this lip srub! btw. thanks a lot for the comment:) omg yesss i've seen the trailer of magic mike, have to see it!!! with my girls of course haha:) that's going to be a lot of fun! ah.... channing tatum is such a hottie! I love Lush products. They smell so good! I've just been purchasing their bath fizzes. Perfect for a relaxing night.